If you guessed Chocolate Pot de Creme is a French dessert you are exactly right. Pronounced Poh-de-Krem, this amazing and ridiculously easy to make dessert dates back to the 17th century. Pot de creme is a simple custard made with chocolate, cream, eggs and sugar can be amped up with a little flavoring and or booze. A little flakey sea salt complements this deep chocolate custard. These sous vide chocolate pot de creme may be the best thing I've ever made. 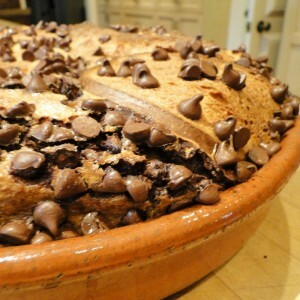 I have published nearly 400 recipes and this one is one of the best. I am no stranger to sweets, but I generally don't crave them and have reasonable self control when they are available...until I made these. To give you an idea, I made the pot de creme in the afternoon, popped them in the sous vide and pulled the warm pots out right before dinner. As I was transferring them to the fridge, I opened one to take a taste (because that is part of my job) and wow were they amazing! One taste led to two and then to three before I could summon the willpower to screw the lid back on and put the pot in the fridge. And this was right before dinner. 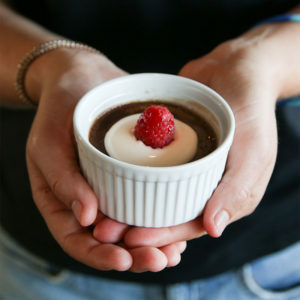 Fast forward to the next morning when I shot photos of these tantalizing little chocolate pots of goodness. Towards the end of the shoot I stuck a spoon in one of them to get a shot that shows how creamy and thick this dessert is. I shot the last of the photos and as I was cleaning up I decided to taste what was on the spoon. Big mistake! The next thing I knew, the entire pot was gone and I was smacking my lips trying not to think about the remaining seven chocolate pots in the fridge. This is not my first pot de creme recipe. Here is a recipe I published several years ago that happens to be a favorite of my soon-to-be son-in-law Cam. It was also a favorite of my late daughter Margo. I thought these were delicious until I tasted my new sous vide version. Why Sous Vide Chocolate Pot de Creme? I was under the impression that sous vide cooking was best for cooking proteins, particularly steak and cuts of tougher meat. Now I can say without hesitation that sous vide is the perfect technique for cooking all types of custard-based desserts including pot de creme, ice cream, creme anglaise and other custard-based desserts. Why is that? Traditional pot de creme are baked in the oven in a hot water bath. The problem is the water only comes part way up the sides of the individual pots and you have very little control over the temperature of the water. You have to guess when they are done and it is a little dangerous removing the pan of hot water from the oven. It is easy to splash hot water as you remove them from the oven. Yikes! Cooking chocolate pot de creme sous vide addresses all of these issues. The pots are fully immersed in the sous vide bath, you have precise control of the temperature of the water and you know exactly when they are done. There is no splashing of hot water when you remove them from the sous vide bath. Use a pair of tongs to remove them as the pots will be very hot when they are done. These practical reasons for cooking chocolate pot de creme sous vide are all well and good, but the real reason to cook them sous vide is the incredible texture of the finished product. These desserts are thick, creamy and have an amazing mouth feel. The texture is the same all the way through, unlike oven-baked pot de creme that tend to be more solid on top and where the custard touches the pot. I'll admit I was a little leery of cooking sous vide in mason jars. Would the glass crack? Would the lids hold a seal? Would the air be able to escape as they cooked? I can tell you it all worked out perfectly and I am 100% confident in this technique. I have published a detailed article for my Patreon followers on how to get started cooking sous vide and have Patreon another article coming in a couple days that specifically discusses how to cook sous vide with mason jars. I recommend these articles if you are just starting out with sous vide cooking. I answer many questions that will make your entry into sous vide easier and recommend specific products I use for sous vide cooking. Sous vide cooking is not hard, but it is not intuitive. I've done the research for you so you can just jump into the fun stuff - making great food with your sous vide circulator. Your pot de creme will only be as good as the ingredients you put in them. The key is to start with really awesome chocolate. I use Scharffen 70% cacao bittersweet chocolate, which I consider to be one of the best cooking chocolates. Note: We are an Amazon Associate and we may make a small commision when you purchase items through our links. 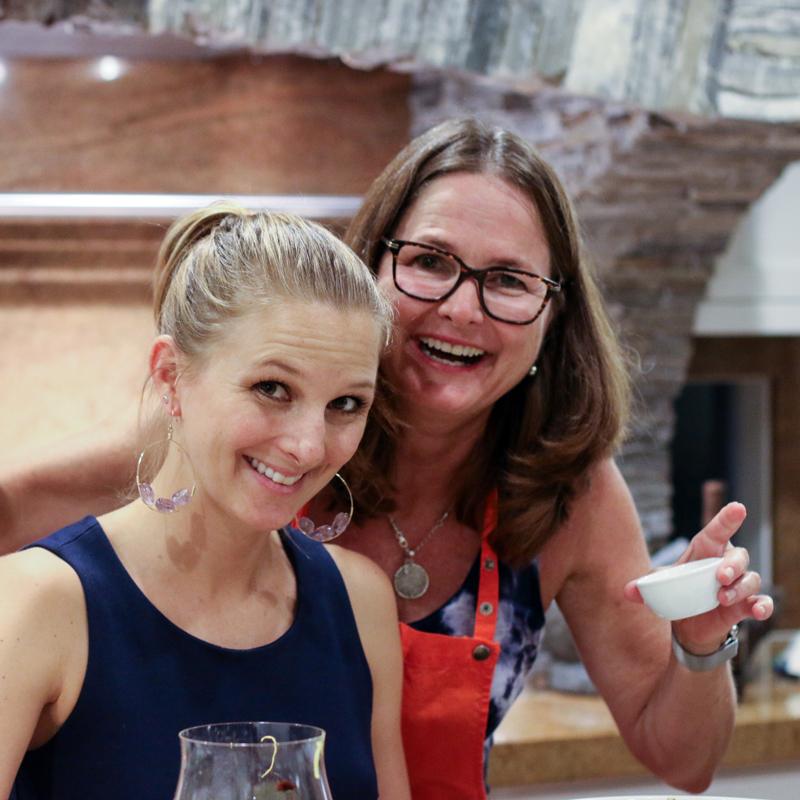 I have designed this recipe to use an entire bar of Scharffen chocolate, which produces eight 6-ounce chocolate pots of creme. Even if you are not planning to serve eight people, avoid the temptation to cut the recipe in half. Why? What are you going to do with the remaining half bar of chocolate? Make the full batch and give the extras to your friends, family, neighbors and co-workers. You will make friends for life! Other specialty ingredients you will need are espresso powder, bourbon and some flakey sea salt. I like Maldon sea salt for its large flakes, flavor and crunch. A sous vide circulator. I use the Anova 8-watt device. A large pot that will hold eight 6-ounce mason jars or 1 12-quart Rubbermaid storage container. 8 8-ounce mason jars with lids. Tongs for removing the hot jars from the sous vide bath. The active time to make these sous vide chocolate pot de creme is ridiculously short at about 15 minutes. The sous vide bath will take about 30 minutes to heat up, depending on the size of your pot or vessel. Actual sous vide cooking time is an hour. Once cooked, the pots de creme need at least 2 hours to cool down in the fridge. So a total of almost four hours is required from start to finish, but only 15 minutes of active prep time. Most of the work is done by your sous vide and your fridge. You can serve your chocolate pot de creme with just a little flakey salt, some whipped cream, the coffee flavored creme fraiche I use, raspberry or chocolate covered espresso beans. What every you use, be prepared for a standing ovation! These make-ahead desserts are the ultimate dessert for a chocoholic but only require 15 minutes of active prep time. They are densely creamy and thick with an incredible mouth feel. A little flakey salt complements the chocolate richness and a bit of bourbon and espresso powder enhance the deep chocolate flavor. Heat the cream in a pan over medium-high heat until the cream around the edges of the pan just starts to bubble. Do not let the cream come to a full boil. Remove from heat. While the cream is heating, coarsely chop the chocolate. While the cream is hot, whisk in the chopped chocolate, espresso powder, sugar, kosher salt and bourbon. Whisk until smooth. Whisk in egg yolks one or two at a time, whisking completely after each addition. Pour the mixture into a large measuring cup suitable for pouring. Pour 6 ounces of the cream and chocolate mixture into 8 8-ounce mason jars, leaving about 3/4" of air space in each jar. Do not fill to the top. Screw the lids on using your fingers only until the lids are finger tight. Do not overly tighten as air needs to escape from the jars during the cooking process. Fill a large pot or a 12-quart Rubbermaid plastic storage container with room temperature water and secure your sous vide circulator onto the vessel. Place the jars in the pot or container. Turn the sous vide circulator on and set it to 176 degrees Fahrenheit. When the water reaches 176 degrees set the timer for one hour. While the jars are cooking, whisk together 1/2 cup of creme fraiche, with 1 t sugar and 1/2 t espresso powder. Whisk until thoroughly combined, cover and store in the fridge. When the timer goes off, turn off the circulator and remove the mason jars from the circulator with a pair of tongs. Set the jars on a dry kitchen towel and allow to cool for a few minutes and then store in the fridge for at least two hours and up to several days. When ready to serve, remove the lids, add a generous spoonful of the creme fraiche mixture to the top of each jar, sprinkle with Maldon sea salt and garnish with a raspberry or chocolate covered espresso bean. Serve and be prepared for a standing ovation! This was such a delicious recipe, seriously worth the calories! Loved every single bite of it and my my husband went nuts over it! Thank you Julie. These Sous Vide Pot de Creme are now officially my favorite dessert. I can’t make them very often, however, or I will need to size up my jeans! can you make them in a smaller (4oz) mason jam jar? Yes, you can. Not a problem. This is a very rich dessert, so smaller portions are not a bad idea. Just make sure not to overfill the jars. It is important to leave a little air space in the jars before you seal them.